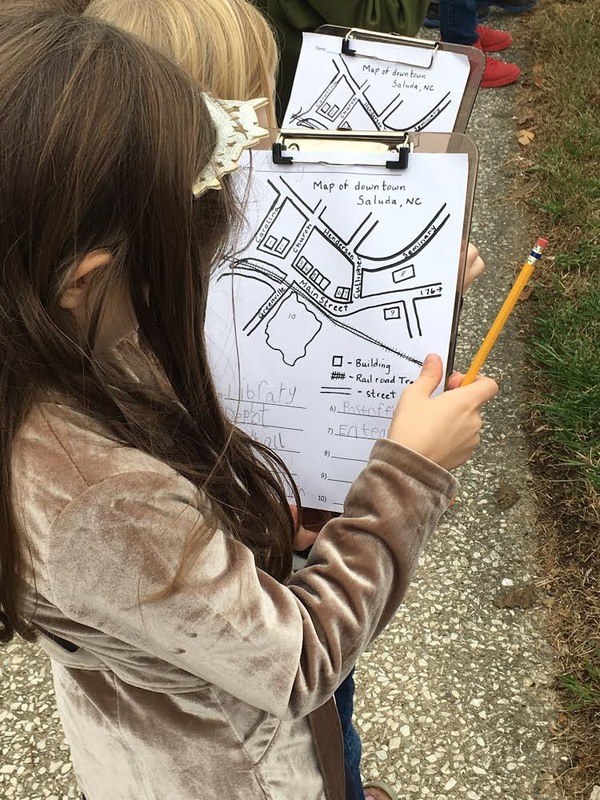 Saluda Elementary first grade students recently took a walking field trip of downtown Saluda as part of a social studies unit on maps. Students identified places they passed by referencing a map of the town. They also enjoyed refreshments from Purple Onion and Wildflour Bakery as well as some fun play time at McCreery Park.